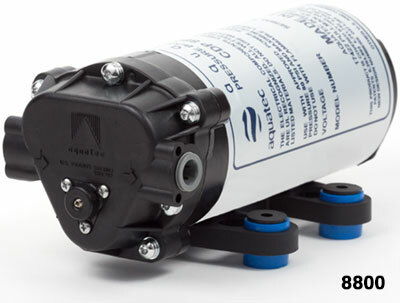 Aquatec’s original product, and still the global standard in booster pump technology, providing reliable inlet pressure for efficient membrane utilization. Most models are designed for intermittent duty, although some models are rated for continuous operation. Effective for recirculation based applications as well. They are ideally suited to work with hydro-pneumatic storage systems but are compatible with most hydraulic shut-off valves also. 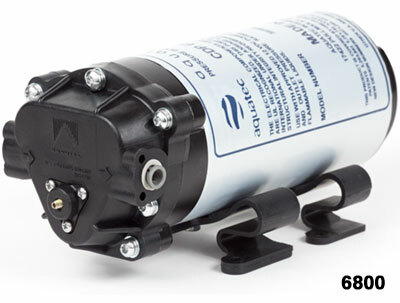 These pumps are commonly used with one or more of our flow control components including: pressure switches (PSW Series), tank level controllers (TLC Series), automatic flow restrictors and timer (AFR and AFT series) or electronic shut-off valves (ESO Series).